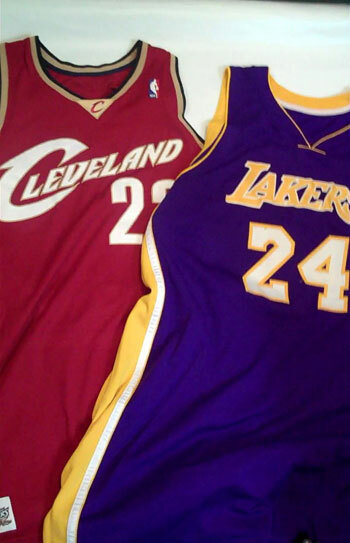 It’s been a bit of an eventful week for our boys LeBron and Kobe. LeBron won the MVP on Monday, while Kobe is playing with unremarkable intensity, trying to lead his team to the Finals (and stirring up some controversy in the process). And since we’re all waiting on an eventual Cavs vs. Lakers Finals (or so it seems), I figured I’d provide a preview, in jersey form. Cool, rare, game-used jerseys, that is. 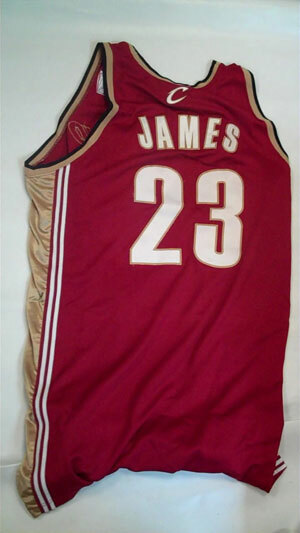 Lucky me, I didn’t even need to offer LeBron a Coke to get his jersey! Ok, I didn’t get to keep it. But while I had it out, I figured I’d go fishing for a Kobe too, just to round out the shot. Over/under on the number of combined points, assists and rebounds each of these jerseys saw? From our building, to a future Upper Deck product. We still have other shoes available, so click here to check them out. 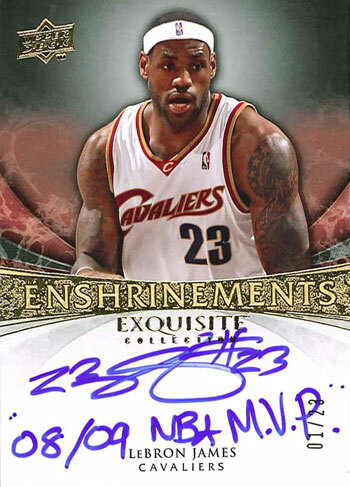 Yup, that’s a LeBron signed card, with an MVP inscription. As you can tell by the “01/23” numbering, there are 23 autographs like this in the upcoming 08-09 NBA Exquisite set, but only this first one has the “08/09 NBA M.V.P.” to go along with it. One of a kind. Bragging over for this week. Actually, I need to head out of here soon and take my convertible down I-5 to SDSU, where Steven Strasburg is set to make his final regular season start at home. That’s a brag in itself, but if all goes according to plan, I’ll be sending in live updates for you guys! Be sure to visit UpperDeckBlog.com throughout the day.